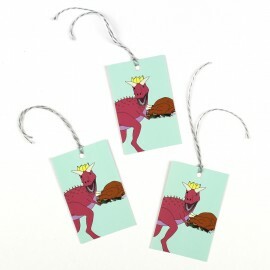 Cute illustrated dinosaur greeting card featuring a group of dinosaurs having Christmas dinner. 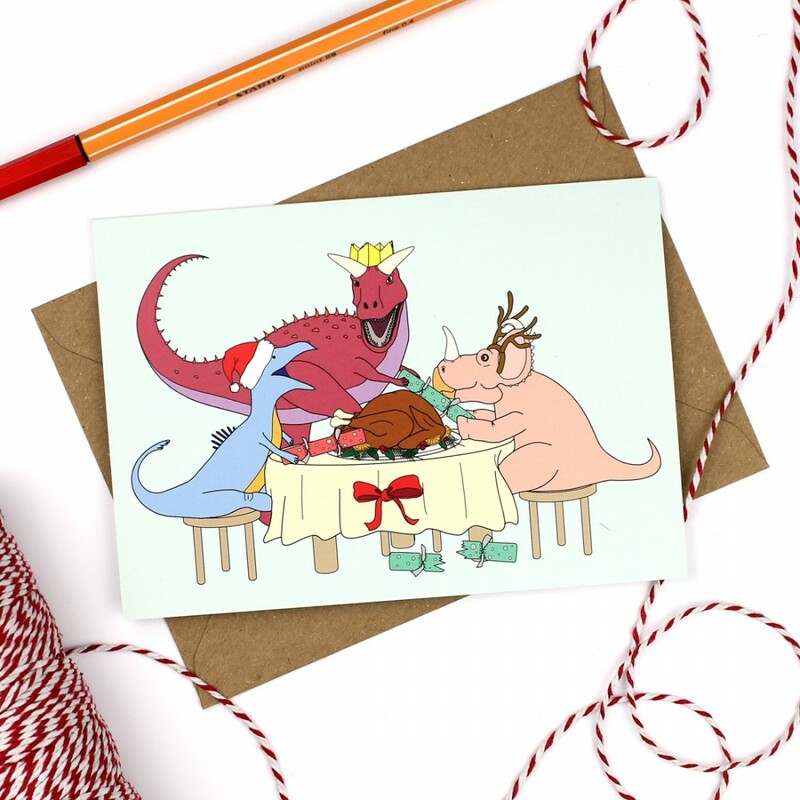 This super cute card is perfect for any dinosaur lover during the festive period. Each card features an Carnotaurus wearing a yellow Christmas cracker hat, a centrosaurus wearing reindeer antlers and a sinraptor wearing a Santa hat. They are sat around a table with Christmas crackers and a giant turkey.